Rio Tinto’s QIT Madagascar Minerals mine in southeastern Madagascar. Image courtesy of Google Earth. A large mineral sands mine in southeastern Madagascar has trespassed into a “sensitive zone,” violating national law and raising the possibility that radionuclide-enriched tailings could enter a lake that local people use for drinking water, two recent studies confirm. Rio Tinto, the London-based multinational that owns the mine, acknowledged the breach for the first time in a March 23 memo, more than five years after the breach initially occurred. Rio Tinto will hold its annual general meeting April 10 in London. The director of an NGO that commissioned one of the studies is a shareholder and said she hopes to speak about what’s happened at the lake. 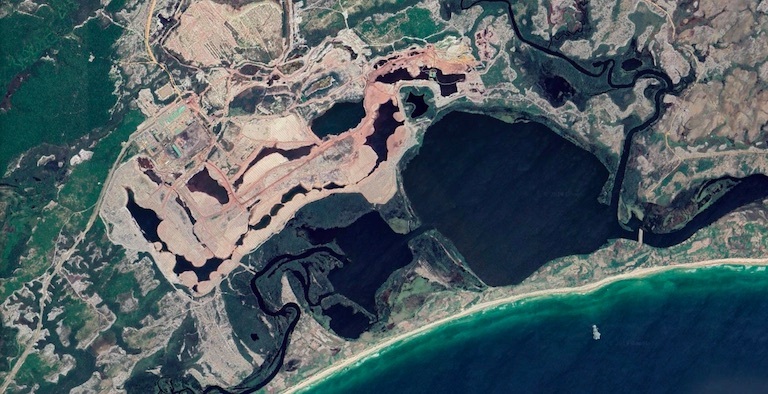 A large mineral sands mine in southeastern Madagascar has trespassed into a “sensitive zone,” violating national law and raising the possibility that radionuclide-enriched tailings could enter a lake. There is no evidence that radioactive elements or mine tailings have entered the lake so far, but two recent studies confirmed the encroachment of mining activities into the lake. Rio Tinto, the London-based multinational that owns the mine, acknowledged the breach for the first time in a March 23 memo to the Andrew Lees Trust (ALT), a social and environmental advocacy group that commissioned one of the studies. The breach raises health and safety concerns in one of Madagascar’s most impoverished regions. The lake, part of a forested estuary system a few miles from the city of Tôlanaro, commonly known as Fort Dauphin, serves as a fishing and foraging ground for people in nearby villages. 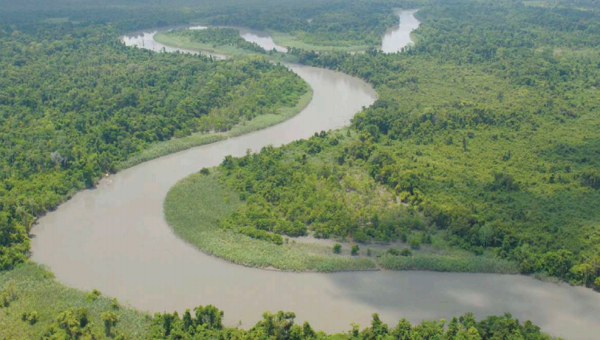 “It would be a human rights and environmental catastrophe if you flood that estuary with radioactive water,” Steven Emerman, a Utah-based geophysicist and hydrology consultant who authored the 2018 study commissioned by ALT, told Mongabay. Emerman said he worries that a cyclone could cause tailings in the mining basins to overflow into the lake or seep in if the water table level changes. The mineral sands being mined have high levels of uranium and thorium, and the removal of the mine’s main product, ilmenite, can increase the concentration of radioactive elements. Ilmenite yields titanium dioxide, used as a whitener in products like paint and toothpaste. A different study published today by ALT found safe radionuclide levels in rivers and lakes in the area. It also found that the area around the mine, including river water, had high levels of uranium that could pose risks to local residents, although it’s not known if these levels are naturally occurring or caused by mining activities. The author of the study noted that she had to rely on “limited” and “questionable” data provided by Rio Tinto, and called on the company to improve its monitoring and management of radioactive materials. In response to the study, Rio Tinto maintained that the high uranium levels were naturally occurring and cited a baseline study as evidence. Emerman expressed further concern that the dam itself was made largely out of tailings — a fact acknowledged by Rio Tinto. This could contribute further seepage into the lake that the dam is meant to protect. “If you build the dam out of tailings, what good is the dam doing?” Emerman said to Mongabay. Rio Tinto has initiated an action plan to assess and possibly redesign the dam (or berm — there’s debate about what to call it) before the end of the year, the company said in the memo. In 2018, Rio Tinto commissioned Ozius Spatial, an Australian consultancy, to determine whether mining activities had breached the lake and buffer zone, as ALT had claimed. Like Emerman, Ozius found that the company’s mining activities had encroached not only all the way through the buffer zone on one side of the lake — littoral forest made up of unique evergreen species — but onto the lake bed. Rio Tinto declined to publish the Ozius study and has not acknowledged the breach publicly, aside from its communications with ALT. The company did provide a copy of the Ozius study to ALT so that Emerman could use it is in his work. Neither Rio Tinto nor Ozius responded to requests for comment for this article. It is unclear whether Rio Tinto’s encroachment into the lake was intentional. In its recent memo, Rio Tinto called the breach an “unintended occurrence that has produced several important learnings.” However, the company had been aware of the possibility of a breach for several years. In 2014, it asked Madagascar’s National Environment Office (ONE), a regulatory body, for permission to change the buffer zone around the lake from 80 meters (262 feet) — the standard, per national law — to 50 meters. ONE granted the request. Yet the Ozius study shows that by the start of 2014 Rio Tinto had not only already worked its way through the buffer zone but had encroached 52 meters into the lake itself, according to Emerman, who reproduced this finding in his own study. ONE inspected the breach in August 2018, deemed its impact “negligible” and chose not to take regulatory action, according to Rio Tinto’s recent memo to ALT. Critics have questioned ONE’s independence and ability to act as a neutral regulator. ONE’s website lists Rio Tinto alongside the World Bank and the European Union as a financial backer. And because of government funding issues, Rio Tinto has to pay for the regulatory body’s staff to fly down from the capital, stay in local hotels and monitor the company. A ONE representative did not respond to a request for comment for this story. Rio Tinto will hold its annual general meeting in London on April 10. Yvonne Orengo, ALT’s director, owns one share of the company and said she hopes to speak about what’s happened at the lake. The Member for Kikori Open has expressed disgust and total dissatisfaction with the manner in which Mayur Resources has failed to consult him or his office regarding their coal development ideas in his district. Soroi Eoe, who is also Minister for Community Development, Youth & Religion, said since Mayur Resources began operations in country and more so in their plans for the Kikori District, in Gulf Province, “the company hasn’t initiated any dialogue with my office nor had the courtesy to consult me on my views regarding coal development”. “The cheap energy argument pushed by proponents (including national politicians) for coal development in my district need to be weighed against other relatively cleaner and healthier options that are available – alternative energy sources that my District is richly blessed with, such as: Small- Medium Hydro, Wind and Solar energy,” said the MP in a statement. 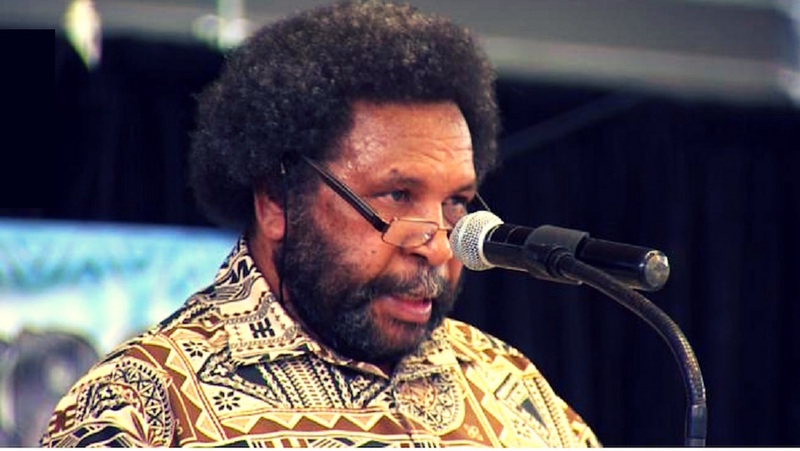 “Furthermore, on behalf of my people and the State, I am involved right now in the process of and negotiating a decent DMO (Domestic Market Obligation) component in the Papua LNG project agreement and I cannot entertain coal development for energy use at the same time on exactly the same strip of land. This makes little sense. PAPUA New Guinea is blessed with numerous pristine mountains and rivers, with high rainfall in the sense that we can get hydropower anywhere in the mountainous region. Even wasted energy from the LNG is not utilised. The commercialisation of the LNG wasted gas energy is optimal as in the case of gas-power commercialisation by Dirio Gas & Power Company. Hydropower is wasted energy when not utilised. The high rainfall in most areas of the country provide for numerous rivers, all with good volume and flow rate. 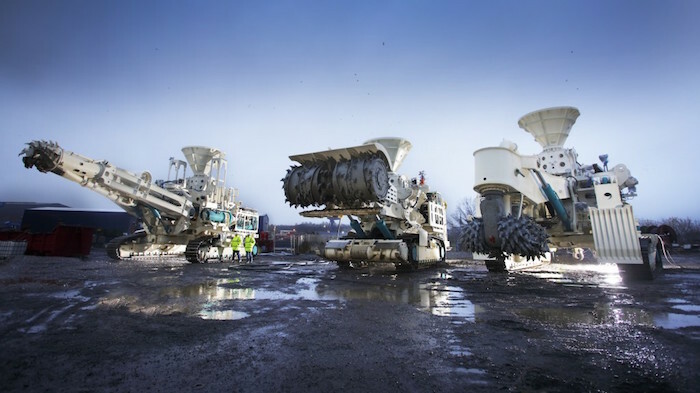 These can provide both a source of clean, sustainable power, water for export and carbon credits. A single dam on the Purari River, for example, can provide five times the required on and off grid current power requirement for the country, but instead they have resorted to the coal seam west of Herd Base up the Purari River for the coal-fired power by Mayur Resources. Climate change is a major threat to livelihoods in PNG. Gulf Governor Chris Haiveta reiterated in The National on March 22 that coal was a base-load power while energy sources like solar, hydro and wind fluctuates. Is base-load power really relevant? Because solar and wind are intermittent, hydro can be used to balance intermittent solar and wind, but experts say the term is a “dinosaur” that has been misunderstood and that no longer can apply to our dynamic energy market. Demand varies hugely and energy production needs to be responsive. 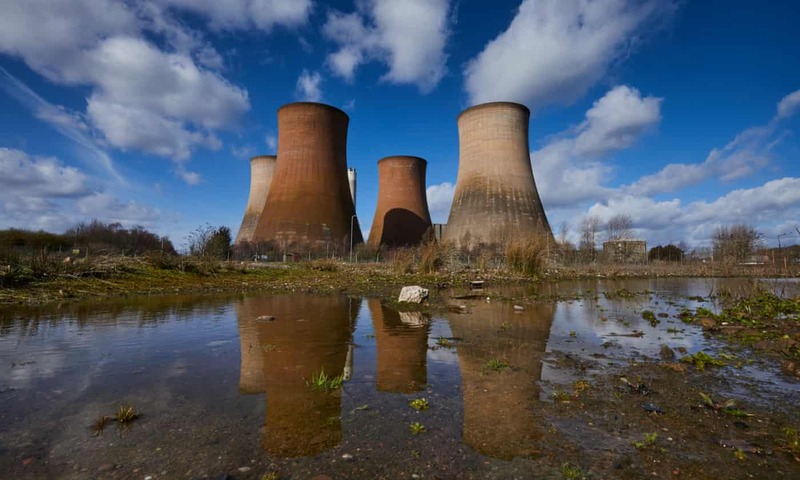 Coal-fired power stations can take days to fire up from cold to full capacity and when demand slumps during off-peak periods, shutting down isn’t an option. 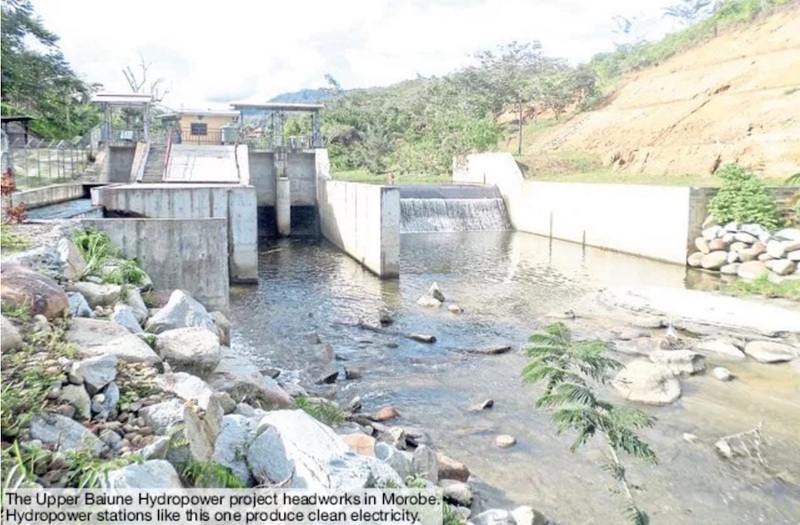 So when these power plants are being built in PNG, a market solution will be created. To stop them from having to turn off overnight, the regulators and the operators will offer very, very low-cost electricity for consumers to run their electrification systems, which will in turn sustain the ‘base-load’ on the power station. The thought of producing clean coal is just a notion made by the coal company and its proponents and promoting coal as clean is a little bit just like an advertising slogan. As the saying goes, whoever fights monsters should see to it that in the process he does not become a monster. Clean energy will only be generated from hydro, solar, wind, tide, geothermal and bio-fuels. By then, the energy from fossil fuel is replaced by clean energy and environmental degradation and climate change is minimized. Remember not to be charmed into promises or offers to receive any property or benefit for your greed to satiate your desires. BARRICK Niugini Ltd continues to face more objections against it continuing to develop the giant Porgera gold mine in Enga. Former Lagaip-Porgera MP and Barrick geologist Opis Papo, representing 22 clans along the Porgera River, said he was not given the opportunity to speak and object during last Tuesday’s warden hearing in Porgera. Enga Governor Sir Peter Ipatas last week said Barrick’s special mining lease (SML) should not be renewed when it expired in August. Papo said in a statement that the hearing at Paiam station was marred with violence caused by illegal miners, purported to be engaged by certain groups. He said he earlier wrote to chief warden Andrew Gunua registering his objections as well as those of the clans he represented. Papo said as a member of four clans – Bipe, Mayuni, Pene and Eno – and with power of attorney given to him in 1995 by 22 clans of the Porgera River area, he objected as required under section 107 of the Mining Act, 1992.